What’s Hot? 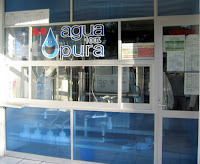 Water stores are according to Entrepreneur Magazine which noted this in their popular “What’s Hot” section. Water Stores are the new waves of the future. The water industry is more than a billion-dollar industry around the world in Pakistan as Well and increasing. Why? I will tell you why. People are making a lot of money. They are finding out that water is their “liquid gold”. Most people do not like the taste of their tap water and some are getting sick from their tap water. Every day we hear stories about bacteria in our local water supply and people getting sick or even worse. Worldwide, three million people die each year from contaminated water. Health departments warn the public constantly of harmful chemicals hiding in our local tap water and the situation is not improving. The private sector is taking into their hands what the government cannot afford to do which is supplying men, women and children with pure, affordable drinking water. In 1995, Americans consumed some 2.7 billion gallons of bottled water, which is a 1,025 percent increase over 1975 figures. According to the International Bottled Water Association, bottled water sales topped 3.1 billion gallons in 1997, creating a per capita consumption of 11.7 gallons. Since 1990, the United States bottled water market has gained nearly one billion gallons, while per capita consumption has increased nearly three gallons for every man woman and child nationwide. Bottled water delivery companies are as popular as ever, but their costs are still high compared to Water Stores. In some cities, five gallons of home delivered water cost $7.50. At grocery stores, the least expensive store brands sell for 50 cents or more per gallon. Most importantly many consumers, regardless of economic times, like to save money. This makes the Water Store a very wise consumer choice. The Water Store of today is a full service retail outlet that offers local customers pure drinking water and water related products. 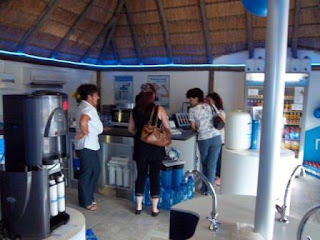 The Water Store provides service and quality drinking water at a price much less than delivered bottled water or bottled water that they purchase in the grocery store. Water Stores also sell ice and various sizes of water bottles, crocks, coolers and some even sell POU (Point of Use) equipment for the household. Worldwide, we are seeing the Water Store as it should be, as a “mini water plant” that provides needed pure drinking water for the community. We specialize in Water Stores and are direct manufacturers of Water Store equipment and also provide one stop shopping for Water Store owners. We have manufactured and installed our equipment for several of Water Stores in Pakistan. 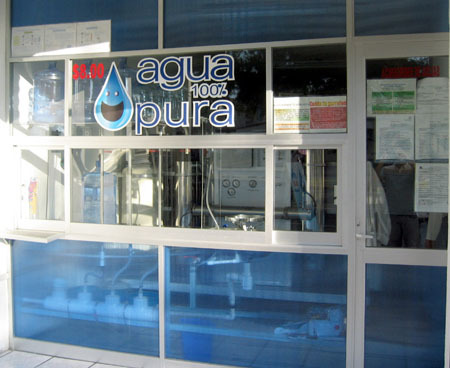 We are experts in designing water purification systems for projects which include bottling and vending. WATER STORES ARE OUR MAIN FOCUS! PWC’S is doing our part assisting individuals in opening their own “mini water plant”, the Water Store. 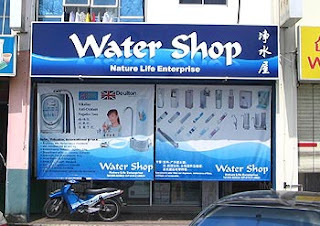 There are many factors to consider when opening a successful Water Store. At PWC’S, we understand how important opening a business is for the first time. PWC’S works with our clients on a personal one on one project basis. We assist you step by step on what you need to open your store and give you the training and continuing support that you need. 1) First you need to choose a location and go through the leasing process. As in most business ventures remember, location, location, and location. It is vital to your success. 2) When you sign your lease, you will visit us at our facilities where you will take a tour of existing Water Stores and get a chance to talk to different owners about the business. At this time, you will consider many different designs for your store. PWC’S will help you with a floor plan and give you step by step instructions on what you need to do to get your store ready. 3) It is very important that when you sign your contract, you also order your equipment. We believe that you can probably have your store opened in Three to Five weeks The lead-time on the equipment will be four weeks. There are buyer improvements that need to be done such as electrical, water lines and floor sinks along with an equipment room, finished ceilings, flooring and walls. PWC’S will give you step by step instructions on what needs to be done. 4) Once you are ready for the equipment, PWC’S will travel to your store and do the installation and start up process for you. We will train you at our facilities on how to do the installation for free. 5) PWC’S will provide you with a list of suppliers for the bottles, crocks and coolers and help you work a deal to get the best prices available for all your store merchandise. 6) Water testing may be required by your local health officials. The requirements vary from state to state and country to country. PWC’S will advise you during this process. CONGRATULATIONS!!!!! YOU’RE READY TO OPEN THE DOORS! Q. How great is the demand for clean drinking water? A. According to the International Bottled Water Association (IBWA), Americans consumed some 2.7 billion gallons of bottled water in 1995. Approximately 1 in 4 households in Southern California use bottled water as their source of drinking water, and the number is growing. Q. Why do people buy water at Water Stores? A. Price, quality, convenience, and consistency all play major roles, but the most important factor is trust in the product. People have become very skeptical of the water being delivered to their homes or business’, or the water they purchase from vending machines or grocery stores, not to mention tap water. Q. What type of location and size? A. Supermarkets and shopping centers that people use. Strip centers with good visibility and parking. Avoid shopping centers that people only use once a month (Target, K-Mart, Costco, etc.). Store size should be about 1,000 square feet. Middle class centers work very well. Stay away from high income areas. High density areas (apartments) work best. Close, adequate parking is essential. Q. What type and how many employees do I need? A. Friendly, part-time employees that can work flexible hours. As part-time help you do not need to provide benefits. Q. Where do I get my supplies and inventory? A. We will furnish you with a list of suppliers for all you needs (bottles, coolers, crocks, etc.). A. PWC’S will train you on your equipment. A. Yes. Lease financing is available for equipment and leasehold improvement, however, not available for inventory or working capital, etc. Q. What other products might I sell to my Water Store? A. Bottles, coolers, crocks, ice and water filter equipment is standard inventory. Other items such as snacks, Soft Drinks would also sell well. Q. Water Stores are new to my area. How can I tell if they will do well? A. Many different factors make a Water Store successful. Survey your area to find out where people are buying their water now. 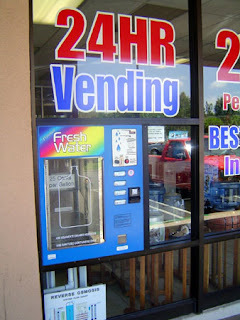 Outside water vending machines in front of supermarkets are an excellent sign that your market is ready for a Water Store. This is just one factor of many that we look for. 1) Free store design and layout. 2) Six Months warranty on all systems. 3) Free technical training at our facilities. 5) Customer phone service support. 6) Custom designed Reverse Osmosis systems for specific applications. 7) Contacts for suppliers of bottles, crocks, coolers and other store merchandise at the best pricing. 8) The most complete line of water store equipment available. We offer one stop shopping for our customers including fill tables, bottle rinsers and water vending machines, along with the of R.O. Systems, the Skid. As you are considering the purchase of equipment to open a Water Store, there are some very important things we would encourage you to contemplate before you make a purchase that may not meet your needs. The following is comprised of some very basic questions that will determine how successful your business will be. Carefully consider these things, as it is our desire at PWC’S that you be successful in your business. These question will help you look at your store through the eyes of your customers and will enable you to better appeal to them. 1) When going to purchase water from a Water Store, what type of location would you prefer to go to? 2) When choosing a Water Store to buy water from, would you go to one that looked professional or one that looked homemade? 3) If there were two stores near you and only one had a bottle rinse to purify your bottles, which one would go to? 4) When looking at the filter system where you buy water, would you feel more comfortable with equipment that was clean, professional and made a good presentation or would you be okay with equipment that had wires hanging, was dirty and looked homemade? As a business owner, there are some questions that you need to consider before you spend a lot of money on your equipment. Please consider the following questions before you purchase thousands of dollars worth of equipment. 1) Would you be happy with equipment that was constantly breaking down, required a lot of maintenance and you were not able to get technical support from the manufacturer when you needed it? 2) Would you want to make one purchase that would meet all of your needs both now and in the future, or would you prefer to have to make upgrades constantly to keep up with demands? 3) Is the appearance of your business important to you and do you think it matters to your customers? Sell a high quality product that people need! Can have multiple stores or an absent owner. Not a franchise (no fees!! ).